All year, Tess Fisher had her eyes on the NJSIAA/New Balance Girls Tennis Singles Championship. So when she lost to Stephanie Schrage in two sets, it would have been easy to show her disappointment. It would have been easy to leave the court soon after photos, or to be short with her answers to local reporters. But Fisher, who was undefeated until that Saturday in mid-October, didn’t flinch. She stayed on the court and smiled for pictures with friends, family and coaches. She congratulated her opponent, kept her head up and — even just minutes after the match — set her eyes on the future. Last week, Fisher bounced back in a big way. 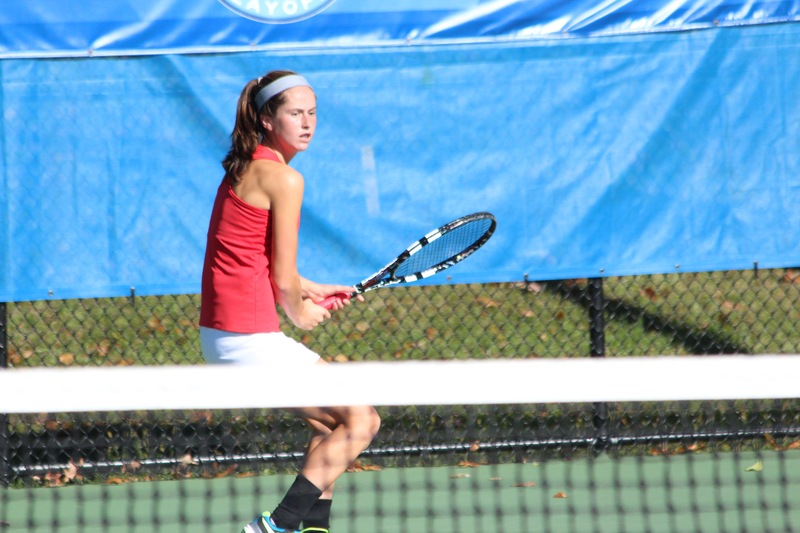 As the top seed, she won the Cape-Atlantic League Girls Tennis Tournament in a dominating 6-0, 6-0 match. Fisher is already planning her next season. She’s continuing to train with her dad, and is going to compete in Middle States tournaments over the next few months. She said tournament play helps her prepare for high school matches and improves her game as a whole.